Mike Malina is part of the marketing team at ECP. From time to time you may see news and blog articles from Mike on topics ranging from amazing projects around the world to amazing projects from our contractor partners. China has built the world’s longest sea bridge. It spans 34 miles and crosses the Pearl River Delta. 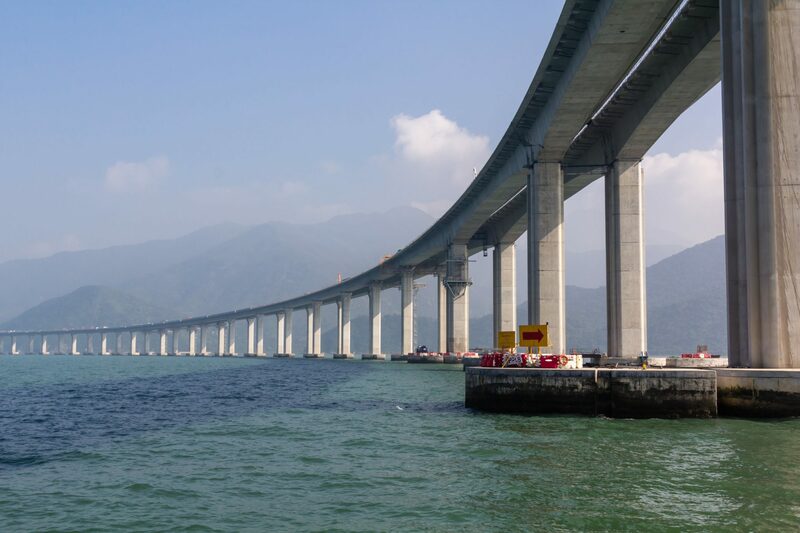 The goal was to link Hong Kong to Macau and the Chinese mainland city of Zhuhai. It boasts a four-mile tunnel just to the west of Hong Kong’s airport. While the project took much longer than expected and cost billions of dollars more than expected, what you can expect is a much shorter drive time between the busy Chinese locations. The Pearl River Delta is home to Hong Kong – the finance epicenter of China. The structure required more than 400,000 tons of steel. It had to be built in a way that ships could pass under because of the proximity to the airport. Most will travel the bridge via shuttle bus lines. They expect around 170,000 people a day to cross the bridge.